Both of us went crazy with all the food, table decor, cake tastings, and wedding dresses. 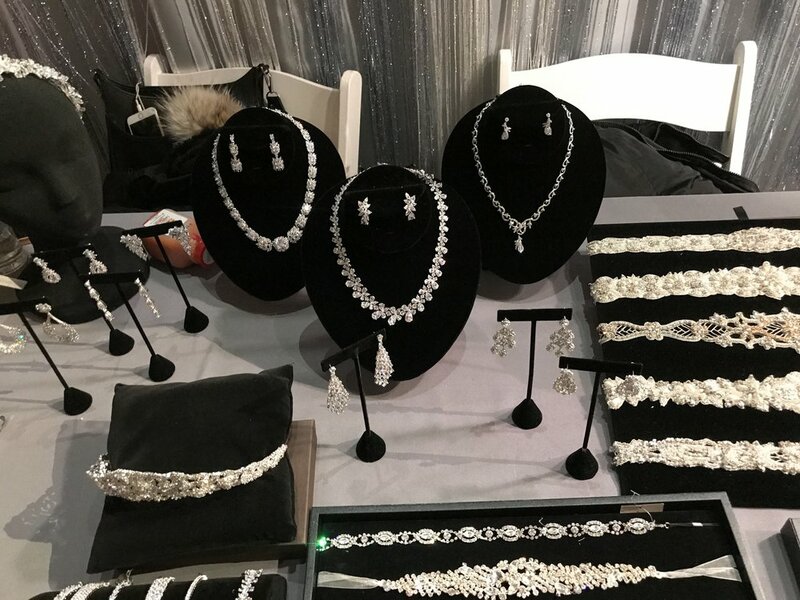 It's such an amazing event to connect with vendors and get so many ideas for your wedding. The event was held at 180 Maiden Lane in the Financial District of New York. It was a 4 hour event and literally just sooo much fun. The Wedding Industry is such a fun and crazy hectic industry, their events have become my favorite. Not sure I love them so much because I'm getting married or simply because of all the food we get to eat at these events. And speaking of food, there were SOOO many yummy vendors that I'm considering for my wedding. Some of my favs in attendance were Milk Bar, Taiyaki NY, The Awkward Scone, and so many more. There were cute ideas I got at this event for the Bridal Parties, Cocktail Hours, and bridal gifts. Below are some pictures of the event, but I made sure to do a lot of vlogging! Vlogging was definitely a great way to capture the event. Hope you guys enjoy the vlog and photos! And if you're a bride to be - THIS event is definitely THE WEDDING event to attend!